Boiler Repair London – A&C Heating and Plumbing Ltd. Provide a 24 hours a day 7 days a week emergency call out boiler repair in London, service, installation for all your emergency boiler repair needs. We pride ourselves on the fact that despite our long experience in the boiler repair, service industry we are able to maintain our very competitively pricing structure. So that our customers know that whether their boiler repair, requirements are large or small they are getting a highly professional service at the best value available. Covering a wide range of heating services, A&C Heating and Plumbing approved engineers are always happy to help and recommend the ideal solution to suit your budget. We are fully experienced in all aspect of plumbing and gas engineering. 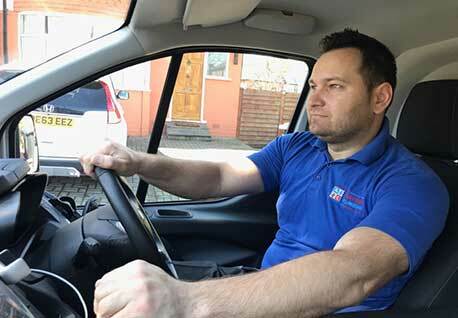 Whether it is a emergency plumber or a boiler repair we cover the entire London region, delivering local boiler repairs and gas engineers. Our aim is to offer a comprehensive fast response 24 hour a day service. We have a wide range of established experts for all type of boilers, call our 24hr friendly team who are always happy to help. we deal with all aspect of boiler repair whether it be just a boiler service or boiler install we will not let you down. Whether it is a new boiler installation or a complete central heating system installation we can help in the design and installation of the most suitable boiler & central heating installation for your home and your budget. Give us a call and one of our central heating installation specialists registered gas safe engineer will get back to you within an hours. We are experienced Gas Safe Registered Engineers, we specialise in the installation and repair of all makes and models of domestic Gas fired Central Heating Boilers. We offer a variety of services to cater for your plumbing and central heating needs, including; boiler repair, boiler replacement, boiler installation, emergency boiler repair London, Landlord Gas Safety Certificates, plumbing & 24/7 Emergency Plumbing. At A&C Heating and Plumbing, we understand how inconvenient boiler problems can be. This is why we endeavour to repair boilers as quickly as possible, with minimum fuss or expense to you – whether it is a planned or emergency repair job. We’ll gladly take care of your London boiler repairs, and once your gas boiler or combi boiler is back in full working order, why not get in touch about other work you need done on your property. We offer a huge range of other services on your property and all our London employees are trade certified professionals who work to the highest possible standards. Engineering at the highest standard is guaranteed that’s why we offer a free one year guarantee on all labour. Commercial boiler repair London can be a testing experience for some, call our experienced team and we’ll get you and your company back up and running with minimum hassle. Our guys are professional experienced and always polite. 24/7 call out engineers available at any time, anywhere in London! – You will get a free no obligation quote, not just an estimate which will enable you to compare our value for money installations. – The installation and the materials will be booked and delivered at a time convenient to you. – We provide good customer care, we will come back to check the installation from in two weeks after the job to make sure everything is perfect. – Guarantees new central heating installation which ensures reliability as well as paying less for your energy bills. All London boiler repairs are carried out by our own certified boiler engineers, a group of experienced heating experts, who are on 24 hours call for all your boiler breakdown, and boiler services. Regardless if you’re in Central London or anywhere within London M25 motorway. For areas beyond Greater London and London M25, please contact in advance to discuss. Boilers are either regular, system, or combi. Our team of boiler engineers, have been working within industry for so long and have a vast experience, in boiler repair in London, boiler maintenance, boiler service, and boiler installation. Our team of registered gas boiler engineers, are qualified specialists, and have all the necessary knowledge, qualification and experience, to repair all types of domestic gas boilers, including oil, electric, combi, condensing, high efficiency boilers and very old back boiler appliances. We are highly trained, specialising, in gas boiler service, of all types and models. We are the ideal London boiler repair company who are fully experienced to carry out Commercial, Domestic and industrial boiler repairs. As a company, we have qualified professionals who are fully experienced in all aspects of plumbing heating and gas engineering. 24 hours a day 365 days per year emergency service. Call our team today! We are always happy to help. Replacing a boiler is a difficult job to undertake and should only be done by a fully qualified heating engineer that has the knowledge and skills to carry out such work. Our Boiler Repair London based engineers are fully equipped with all of the relevant tools that are needed to successfully repair boilers and due to their qualifications and many years of experience, any problems that may occur during a job can be handled quickly and efficiently to reduce any fuss being caused. When a boiler is old and tired, problems will start to occur if nothing is being done about it and if a problem is ignored, it can turn into a bigger job than it need be. 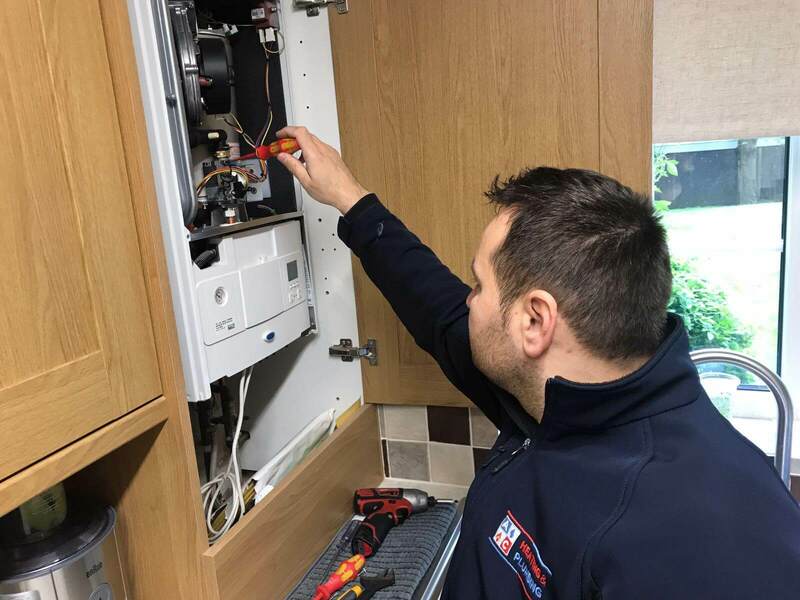 Here at the boiler guys we provide a trustworthy service so you can be assured that if you come into any problems with your boiler, there is every reason to call us and receive an honest quote from one of our professional engineers. Our boiler installation London experts can then replace your existing, tired gas central heating boiler with a new, more efficient boiler or if your boiler can be saved, we can provide you with our professional and cost effective boiler repair services. The boiler is the most important part of the central heating installation and your choice will impact on how the system operates and its efficiency. Your new boiler will by definition be at least 90% efficient (i.e. convert 90% of the energy it uses into heat) and it has to be a condensing boiler (which utilizes the heat from the exhaust gasses within the boiler for added efficiency). Most people will opt for a regular ‘system’ boiler but you could also opt for a ‘combi’. As the name suggests, acombi boiler combines a central heating boiler with a water heater. Hot water is produced directly from the boiler and is given priority over the heating requirements. This is a sealed system and because it heats water instantaneously, there is no need for hot water storage. The main issue tends to be that smaller models struggle to produce the amount of hot water on demand that a larger family needs. Be aware that solar panels won’t work in tandem with a combi boiler system. We are based in London and provide our services throughout London, West London, North London areas. 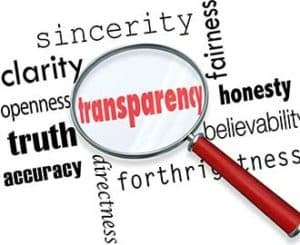 Since we started out, we have built up an exceptional reputation chiefly due to our reliability and unwavering dedication to our customers. Emergency boiler repair, is another service that A&C Heating and Plumbing provide our customers in London, 24 hours a day. boilers are like any other appliance, and from time to time, there is a chance that they might breakdown. We have a team of 24 hour emergency specialists, who are trained to be fast, efficient, and are experts emergency boiler engineers, who know how to deal with an emergency situation. they can be with you very quickly, and repair your boiler, on the spot any time during day or night. You should get your boiler serviced regularly to make sure it’s working properly. A faulty boiler could waste you money on energy and might even start leaking poisonous carbon monoxide. Because the gas is colourless and scentless, it’s hard to tell if one of your appliances starts leaking carbon monoxide – so you should get them serviced by a Gas Safe Registered engineer once a year. We’ll inspect your boiler and controls to make sure they’re working properly. We’ll check your boiler for corrosion and leaks. We’ll take off the casing of your boiler to inspect the main components. We’ll check the gas pressure. We’ll test the flue to make sure it’s not emitting any unsafe fumes. Modern boilers now run at well over 90% efficiency. This is due to the boilers condensing; that is to say the energy from the gas is used twice instead of once as was the case up until recently. Modern boilers fitted by A&C Heating and Plumbing are compact and neat and cause little disruption when installed or serviced. There are many different brands and they vary in price considerably (we recommend Worcester Boschand Vaillant) and as with most things you get what you pay for. If you do find a new boiler is the only option, you can rest assured our professional service will have you back to normal again very soon. We’ll help you select a new boiler that is suitable for your property and will provide the hot water and heating you rely on throughout the year.